As the sun sets on Mozambique's central village of Begaja, an incredulous Ruca Mutana walks around his field one more time, looking for that rare maize cob that might have survived last week's vicious cyclone. On either side of a narrow path to the field from his house, the maize field stretches as far as the eye can see, but not a single plant still stands. Maize stems lie flat in mud after gale-force winds unleashed by tropical cyclone Idai barrelled across swathes of central Mozambique 12 days ago. The cyclone and subsequent rains killed at least 468 and affected 1.85 million people in Mozambique alone. "First there was the cyclone, which flattened the corn (plants)," says 50-year-old peasant farmer Mutana, a blue cap on his head. "Then came the floods to finish off whatever was left." Maize is the staple crop in Mozambique. Mutana's sugar cane and sorghum plants have also been destroyed. As the floodwaters recede, revealing the scale of the damage, it is becoming clear that most agricultural fields have been all but wiped out, and hunger now stalks farmers in the cyclone-ravaged parts of the country. Floods that drowned farms have only worsened the ability of farmers -- who had already been hit by drought -- to feed their families. More than 450,000 hectares (a million acres) of crops were ravaged in Mozambique, a poor, debt-ridden and aid-dependent southern African country. The cyclone hit at a critical farming phase. "We were due to harvest the maize in a few weeks, but everything was destroyed. I don't know what we will eat in the coming months," Mutana said. "The harvest is in April-May, so this cyclone has happened right before the harvest," World Food Programme's (WFP) spokesman Gerald Bourke told AFP. "This is particularly difficult for this country, which has a very high malnutrition rate," Bourke said. 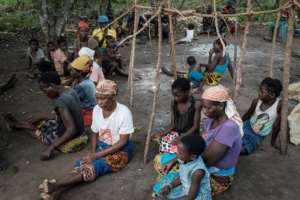 Around 43 percent of children in Mozambique are chronically malnourished, according to the UN Food and Agriculture Organisation (FAO). 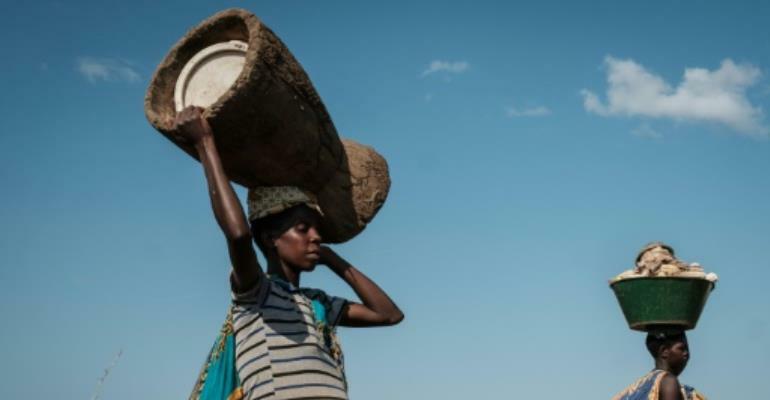 Even before the cyclone ripped through the central parts of the country, low harvests were forecast after Mozambique experienced a drought. Food needs will be huge in the coming year, with the country's next harvest not due until April and May of 2020. In Begaja, a village of just over 1,000 people, trees that survived the force of the cyclone and raging floodwaters are drooping -- but they are the only sign of plant life remaining. Ernesto Roberto Matsine, 42, pushing his bike through the mud, was despondent, saying: "I don't know how we are going to do". Jorge Majuta, 37, managed to rummage a few dozen corn cobs -- "but they are not ripe, and anyway, that's not going to feed us very long." Changes in weather patterns are only adding to Mozambican subsistence farmers' woes. "We're going towards increasingly erratic rains and extreme weather episodes," Bourke warned. For now, the farmers have no choice but to depend on relief aid until next year's harvest.